Sea, Sand & Sky: The "Simply Marble-ous" Treasure Hunt Is On! The "Simply Marble-ous" Treasure Hunt Is On! Help Save the Harbor Find Our Marbles. If you help Save the Harbor/Save the Bay find a one-inch frosted cobalt blue marble on a Boston area beach from July 4 through Halloween, you could win a round-trip ticket from JetBlue Airways to any domestic destination they serve from Boston's Logan Airport! "In June we released marbles on the beach in Lynn, Nahant, Revere, Winthrop, East Boston, South Boston, Dorchester, Quincy, Hull and in the Boston Harbor Islands" said Save the Harbor's spokesman Bruce Berman. "In July, August and September we will be releasing hundreds more at Better Beaches Program events from Nahant to Nantasket." You can find a complete list of this year's events at this post on Save the Harbor's youth and beach blog "Sea, Sand and Sky". If you don't find a marble on the beach you can still join in the fun. Just make an online contribution of any amount to Save the Harbor / Save the Bay between July 4 and October 31 and you will be entered into the contest as well. The "Simply Marble-ous" Treasure Hunt began in 2012 on the beaches of South Boston with a beach clean up sponsored by JetBlue in partnership with the Massachusetts DCR. In just a few short hours, more than 100 people did 5 weeks worth of work cleaning up the beaches. At the end of the day, the participants released their marbles into the water for Boston beach-goers to find. Watch a short video about the contest. "JetBlue is a great partner," said Save the Harbor's Bruce Berman. "They really care about their customers and their communities, and they are terrific to work with. We really appreciate their support for the work we do to make the Boston region's public beaches a destination for residents and visitors alike!" Of course the marbles are environmentally friendly. "These marbles are made from glass, which is made from sand." said Berman. "Its a great way to encourage people to explore and enjoy the Boston Harbor region's great public beaches." 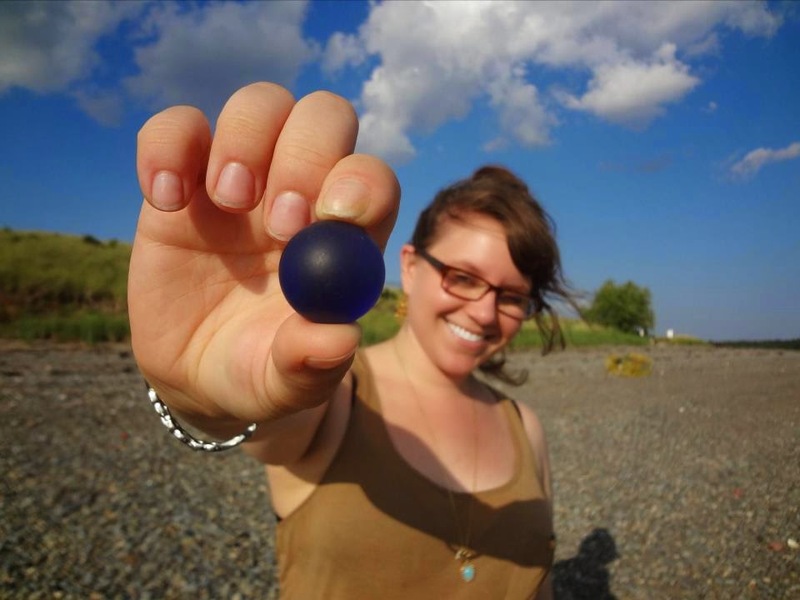 More than 300 marbles have been "released" so far on Boston area beaches from Nahant to Nantasket by Save the Harbor's summer staffers and Better Beaches program partners already, so start hunting! The first drawing will be in August, so start hunting - and stay tuned.